60 inch - Single Sink Vanities Find the best 60 inch vanities at Luxury Living Direct. We have a large range of single sink bathroom vanity sets at our online store. 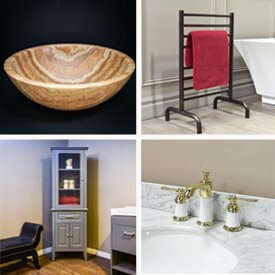 Spice up your bathroom decor by mix and matching different fixtures to create a fully personalized bathroom experience. At Luxury Living Direct, we have great prices and great quality on 60 inch vanities. If you have any questions, call us direct at (800) 574-3022. Our friendly staff will be happy to assist you with any information you may require.